June was a very weird month for me. As much as I felt that it passed by way too quick, I also feel that it dragged in parts. Half the year is gone and here I am sitting and wondering what the hell have I done in the past six months. Am I the only one who feels that 2017 is not going really good? For some reason on which I cannot lay a finger, something doesn't seem to be right with this year. Based on the FB statuses I have been seeing over the past few months, there are many others who feel the same too.Well, let's just hope that the second half of the year gets better. June was a pretty relaxed month in terms of work. I had completed most of my projects and only the final finishing activities were pending. This meant that I had some extra time on my hands everyday. The extra me time that I got helped me relax to a large extent. I realized that I am a person who needs some time alone everyday. Else, I just lose my mind and get cranky. I need some time just with myself. I'll either read, watch TV, cook or just sit. But I need that time alone at any cost. It has become vital for my sanity now and I plan my day in such a way that I get this time no matter what. Reading is what I mostly do when I'm alone and that gives me peace of mind. I couldn't ready many books this month thanks to an unbreakable vow that I made to myself about not buying any new books or not reading anything else until I finish the Harry Potter series. After the super long 'The Goblet Of Fire' that took like forever to finish, I had tried reading 'The Order Of The Phoenix' thrice. At 800 pages, it was not easy to get past it quickly. Plus, I wasn't too happy with the previous book and so I had zero motivation to go through this one. Finally, the vow gave me the necessary push. I started reading it again and as soon as I got past the first 100 pages I realized that maybe I can finish this after all. Every spare moment I had was spent reading this one. Initially, it was to get done with it but later it was because I loved it so much. It took me close to a month to finish this book, but when I was finally done with it I had a wide smile on my face. 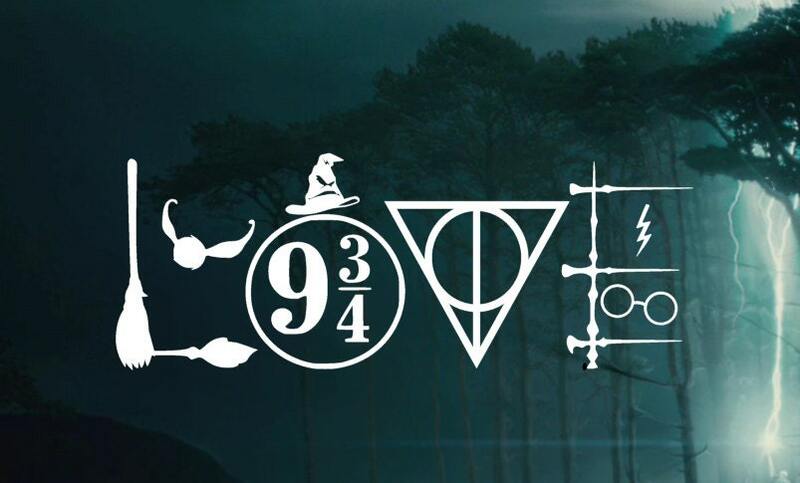 Yes, I was back in love with Harry Potter. I picked up the sixth book almost immediately and this one only had 550 pages. Within a week I was done with it too and 'The Half Blood Prince' turned out to be my favorite book in the series so far. There was something really sorted about this book, although I did end up crying when Dumbledore died. The last time I cried when a fictional character died was around 12 years ago when Don Corleone dropped dead in 'The Godfather'. Dumbledore's death made me feel very sad for Harry. After Sirius, now this. Cannot wait to see what happens next. Over the weekend, my husband and I sat and watched the first five movies too. It was really fun. I start reading the last book today. Once done, I'll finish the movies too. Then I'll be reviewing the whole series here. Finally. While the focus was on reading, writing had to take a back seat. To be honest, I didn't care much. While my blog made it to the list of top Indian blogs for the sixth time in a row, I somehow did not feel the need to write much at all. Initially, when I set down to write the blogging goals for the year I decided on having 3 blog posts per week. But if you look at my archives, you'll see that except April no other month so far has more than 10 posts. Maybe, this works out for the best you know. From this month onward, I'm not going to set a target for the number if posts in a month. I'm just going to write whenever I feel like. It can be thrice a week or just once a month. I'm going to just sit back and relax and write only when I have something to say or if I find a muse in a picture that brings out the poet in me. June brought with it quite a load of headache. Literally. I've been battling migraine since I was a child and this time it was driving me crazy. I had to take multiple days off work and just rest at home. You have no idea how much I hate to just sit at home and do nothing. When I get a migraine attack, everything around irritates me. The world around me starts spinning and I feel like puking. The only solution is to take my medicine and just go to sleep. I'm practically immobile when I'm under an attack. I've been through a lot of emotional stress since the year started due to the ill health of my parents, looks like it was all acting up. I took a bold step and decided to work on it and take things a little more lightly. It has been working beautifully so far. While May brought with it its share of lessons, June made sure that I implement it. After all, one needs to practice what they preach right? July has started on a very chilled out note. Also, thanks to the wonderful Bangalore weather that makes me appreciate the beautiful things around me more. While 2017 continues to be weird, it does help me break into a smile every now and then. Hope you are feeling better..I know how hard migraines are...Healthwise June wasn't that good for me. But overall it was fine. The last day of June actually taught me an important lesson, one that I hope to remember and implement. I haven't read Harry Porter till now. I guess I'll wait for M to grow up and read with her. These days I'm obsessed with WW2 stories and just can't get enough of it. I am much better now, thank you! You'll love HP when you read it, I'm sure. This half year has been a time of uncertainty and transition for me and I like stability. Hopefully, July will make some things clearer. Rest June has been good. You will enjoy the remaining Harry Potter as loose ends get tied. Migraine must be terrible. Good that you are taking it easy. 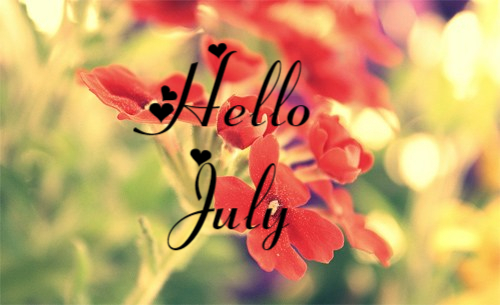 Have a nice July. That's my hope from July too, Rachna. I'm so glad you persisted with Potter! It was a tear jerker for me since Order of the Phoenix as I love Sirius. Migraines sound terrible...some years ago I thought I'd started getting migraines but turns out it was sinusitis. It had the nausea and vomitting and blinding headaches too but only difference being you couldn't even sleep unless you had strong drugs! I'm so glad too! Oh poor you, I hope you are free from it now. Woaa that's a lot of reading you did, yet again. Always amazed by your reading speed. Hope your migraine headaches are not bugging you now. Take care.